"Before you can control your horse, you have to be able to control yourself first." 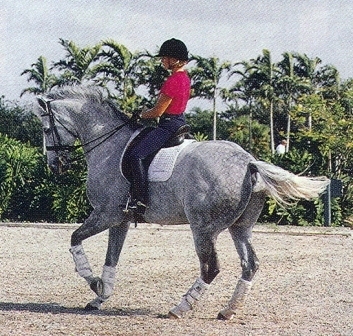 "At first the rider must learn to stay in the correct position whilst at the same time absorbing the movement of the horse. He has to be able to do this without losing his balance or needing to grip on the horse. Maintaining the same position, whatever the horse does, and smoothly following all the movements of the horse in a relaxed and erect way, without actively influencing him, is called passive sitting." " The best way to learn this is on the lunge, as this allows the rider to concentrate completely on his own body, balance and position without having to focus on steering the horse. You can never spend too much time trying to perfect your seat. If you develop bad habits from the start they will result in many incorrect reactions from the horse and will cause a lot of problems later that could have been avoided." "The only time a rider can reliably influence the horse is when he can apply correct and deliberate aids. And the only time a rider can give give correct aids is when his seat is balanced and losgelassen -- the German word for relaxed and supple." 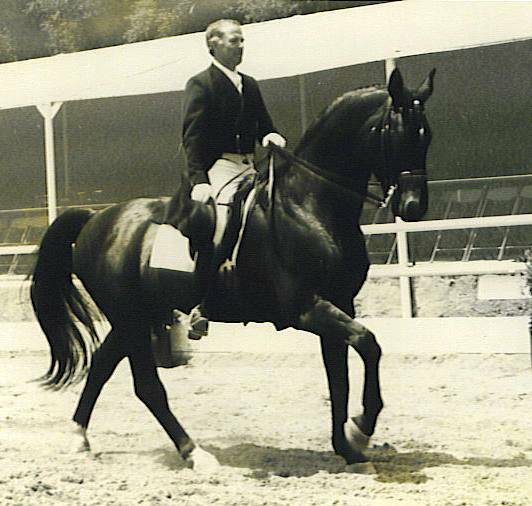 " Achieving this type of seat, which also gives you the most stability and security on a horse, takes immense practice so riders always have to work toward the ideal. Only then will they be able to improve their riding. Even advanced riders, including myself, must regularly work to improve their seats." "Balance is particularly important for riders who don't have a lot of size and weight. I personally don't bring a lot of weight to the saddle. I have to stay as strong and flexible as I can to use my body weight to my best advantage and become very sensitive to balance and refinement of the aids. I have to know the influence my body position has on my horse. Like many other woman riders, pound for pound, when I'm on a big horse, I need to be very effective." "In riding we refer to the core as a deep seat. 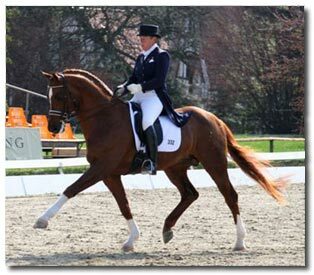 One of the first lessons I learned in dressage was that without a seat, the rider has nothing." "As a rider what are your tools? 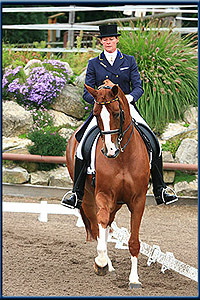 First and foremost is a deep, secure seat, and a position that allows you to be in excellent balance with your horse." " How do you acquire perfect balance? The answer is: Seat Lessons. Find a knowledgeable trainer and work on the lunge line without stirrups and without reins to improve your balance and suppleness. Even if you consider yourself an accomplished rider, you will be surprised at how much this work will improve your ability to balance independent of the reins. Seat lessons can be developed to a very sophisticated level: one at which you learn to communicate with your horse entirely through your seat and teach him to respond to very light aids." "At the Spanish Riding School of Vienna, students are obliged to take seat lessons on the lunge for up to 2 years before they are allowed the next step: to ride the schoolmasters. This 400-plus year old tradition has consistently produced riders and trainers of the highest quality."